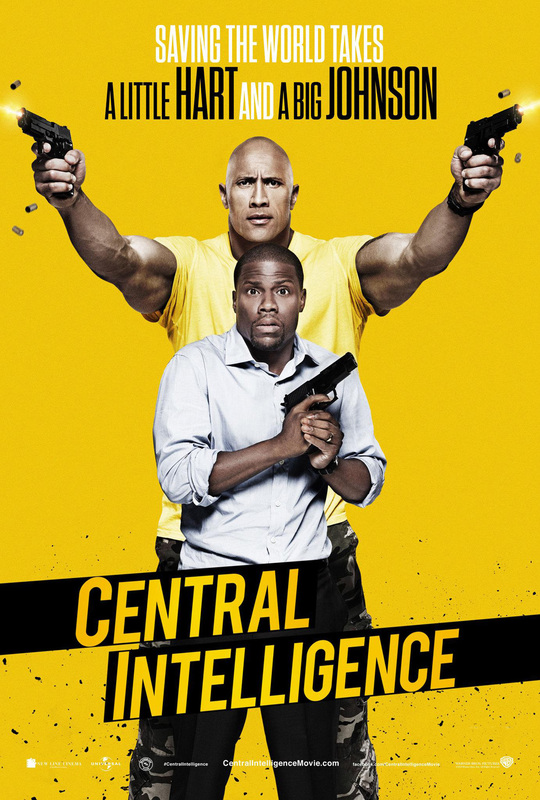 “Saving the world takes a little Hart and a big Johnson.” That's the witty tagline of the new one-sheet art of Dwayne Johnson and Kevin Hart's new action-comedy “Central Intelligence” in Philippine cinemas on June 15. “Central Intelligence” follows a one-time bullied geek who grew up to be a lethal CIA agent (Johnson), coming home for his high-school reunion. Claiming to be on a top-secret case, he enlists the help of the former “big man on campus” (Hart), now an accountant who misses his glory days. But before the staid numbers-cruncher realizes what he’s getting into, it’s too late to get out, as his increasingly unpredictable new friend drags him through a world of shoot-outs, double-crosses and espionage that could get them both killed in more ways than he can count. “Central Intelligence” also stars Oscar® nominee Amy Ryan (“Bridge of Spies”), Aaron Paul (TV’s “Breaking Bad”) and Danielle Nicolet (TV’s “The Game”). The film is directed by Rawson Marshall Thurber (“We’re the Millers”). The screenplay is by Ike Barinholtz & David Stassen and Rawson Marshall Thurber, from a story by Ike Barinholtz & David Stassen. It is produced by Scott Stuber (“Ted”), Peter Principato (TV’s “Black-ish”), Paul Young (“Black-ish”) and Michael Fottrell (“Fast & Furious 7”). Serving as executive producers are Ed Helms, who worked with Thurber on “We’re the Millers,” Samuel J. Brown and Michael Disco. New Line Cinema and Universal Pictures present a Bluegrass Films/Principato Young Entertainment Production, a Rawson Marshall Thurber Film, Central Intelligence.